Increased use of technology in schools has brought questions about how best to prepare teachers to educate students in a technologically rich learning environment. Previous research has shown that teachers tend not to use technology for interactive, student-centered instruction. More often they use technology for administrative tasks such as classroom management, creating slideshow presentations for lectures, or personal communications. Rehmat and Bailey studied how preservice elementary science teachers perceive technology use in the classroom and how their perceptions change when their science methods course teaches them how to integrate technology to support student learning. With explicit instruction, the 15 preservice teachers in the course broadened their definition of technology in the classroom, increased their instructional use of technology, and gained a more positive outlook on technology use. The authors assert that integrating technology into instruction requires a specific set of skills and content knowledge. They define technology integration as “the appropriate selection and use of technology within a science lesson or unit to facilitate or enhance student learning of the content.” They draw this definition from the technological pedagogical content knowledge framework proposed by Harris, Mishra, and Koehler (2009). How do preservice teachers define technology integration? How does their interpretation of technology use in science classrooms change over the course of instruction? What tools do preservice teachers use to effectively integrate technology into their science lessons? For this study, Rehmat and Bailey designed a new elementary science methods course that explicitly included teaching science with technology. The course was offered at a large university in the southwestern U.S. Most of the 15 preservice teachers were undergraduates. All had taken an introductory technology course on basic hardware and software. At the time of the methods course, they were concurrently enrolled in their second field experience, spending 20 hours per a week in elementary classrooms. In the methods course, students participated in some activities enriched by technology and some that were not. They learned to integrate laptops, online videos, iPad apps, and online simulations into lessons. To examine the preservice teachers’ definitions of and perceptions of technology, the authors administered the Preservice Teachers Technology Integration Survey (PTTIS) at the start and end of the methods course. To examine the degree to which preservice teachers implemented what they learned, the authors examined their lesson plans and reflections on activities within the methods course. All preservice teachers attempted to integrate a variety of technologies into the lesson plans they produced for the class. However, not all of their choices were age-appropriate, and not all represented the constructivist approach that Rehmat and Bailey recommend as a goal of technology use. One example of an appropriate use of technology was a lesson that used an interactive SMART Board to sort various properties of matter; this plan was age-appropriate, supported students’ engagement with inquiry practices, and facilitated class discussion. A less appropriate lesson used an iPad app to teach fourth-graders the functions of human cells. The app, however, was not age-appropriate in that it presented advanced concepts about cells. Additionally, there was only one iPad in the class, so the lesson ended up being teacher-directed rather than student-centered. At first the preservice teachers were not comfortable using technology in their classrooms; some were not comfortable teaching science at all. They had not thought about how technology could foster inquiry and discussion. After taking the class, they cited positive aspects of using technology, including student engagement and making the lessons more creative and enjoyable. 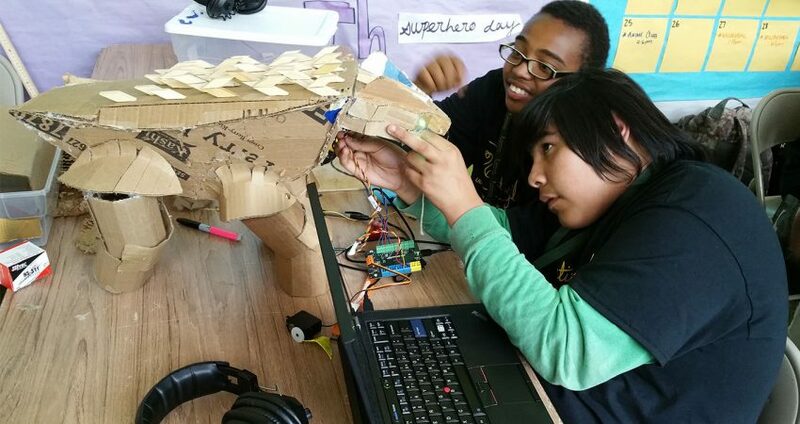 The experiential and project-based learning that occurs in youth science programs and in public interactions with exhibits and collections is ripe for meaningful integration of technology. Informal science educators and interpreters could therefore benefit from explicit instruction and preparation in the use of technology to enrich learning. Informal science practitioners responsible for training educators and interpreters can use the PTTIS tool, provided in this paper’s appendix, to assess staff perceptions and understanding of technology integration. As informal science institutions develop effective ways of integrating technology into activities, programs, and exhibits, they should take care to document and share their findings with colleagues and the field.